eBay Partner Network Named One of the World’s Top 5 Affiliate Networks for the 4th Year in a Row! mThink’s annual Top 20 Blue Book ranking of the world’s top affiliate networks just placed eBay Partner Network in the #4 spot - our 4th consecutive year in the top 5. Read on to learn about the latest news from other EPN publishers, Insiders and industry friends. Skimlinks: Black Friday: The Holiday that Stole Christmas? We’re excited to announce that eBay recently launched an all-new destination for a curated selection of furniture, contemporary design, fine arts and antiques. Whether your visitors are working on minor home touch-ups or a full-blown extreme makeover, eBay Collective includes world-class inventory for an elevated shopping experience. Researchers now claim that (thanks to technology) our attention span is about 8 seconds long - apparently shorter than that of a goldfish. This puts bloggers in a particularly tough spot with no time to spare and no fluff content to be tolerated. What does this mean? Simply put, you need more snackable content. You know, those small, bite-size nuggets of wisdom that draws the reader in and keeps them asking for more. Content gurus Lauren Lumsden of The Scene, Alejandra Ramos of Always Order Dessert, and TV host Carley Knobloch spoke at the BlogHer conference giving strategies for bloggers and affiliates who are looking to capture readers in spite of their dwindling attention span. Of the most common reasons social media pages perform poorly, having too much uninteresting content is at the top of the list. The key to grabbing a reader's attention is to get to the juicy details right away. This means the most important information should be placed at the beginning of your videos, status updates and headlines. Cosmo's use of the new Snapchat feature, "Discover," embodies this point perfectly as it puts all of the most newsworthy content right at the tips of your fingers. Even if users weren't intending on browsing Cosmo content, it becomes incredibly tempting to click through all of their most exciting stories of the day. Food and travel blogger, Alejandra Ramos told BlogHer conference attendees that it's okay to publish "clickbaity" teasers as long as the content is truly high quality. Strike a balance between enticing and honest to solidify trust with your readers. Simply put, you don't know what you don't know. And when you're trying to create content for a busy audience, it's critical to know what motivates them. Studies have shown that 60 percent of those who share a link will not even click through to read the content. Thus, A/B testing has become a quintessential tool for learning what compels your audience to click - whether it be on social media, landing pages, or websites. Not only can A/B testing inform the topics you cover, but your tone and phrasing as well. You may have a stunning website, but did you know your audience size will decrease with each extra second it takes the page to load? It's true! In addition, the vast majority of consumers now expect mobile-friendly websites. Luckily snackable content is perfect for mobile because it's short and to the point! Make sure that important pieces of content are easy to extract in nugget-sized pieces. There are several other steps to take to reduce your site's load time, like removing unused plugins, switching to a faster, SEO-optimized theme and compressing large images. Ultimately, the faster your page loads, the better. Try a few of the tips mentioned and let us know how it turns out for you. In order to popularize certain posts and gain more exposure, it is helpful to structure your blog with one interesting post leading to another. For example, at the bottom of a post about different styles of shoes, a fashion blogger would be wise to link to a related post, like shoe styles on the red carpet. This creates a chain of interest, giving readers the time to realize that your blog is more that just one interesting article. Give them just enough snackable content from another post to make them want to click and find out more. Sometimes bloggers get locked into a feeling of having to sound professional and only write informative posts about their topic. While it's certainly important to do this, going overboard can give a robotic tone to your content. Readers appreciate knowing that there is a real person on the other side of the screen, so it doesn't hurt to include a personal account here and there. It also doesn't have to be overly revealing - if it is sincere, readers will be engaged. Research has shown that strictly emotional content tends to outperform rational or mixed content. This is simply a factor of human nature - direct connection and communication still trumps all. There are many ways for bloggers to combat the influx of digital information and changing attention spans. Creating snackable content is just one of them. Making a name for your brand doesn't require expert marketing skills so much as honesty, brevity and focus within your content. Thank you for reading this article on snackable content. 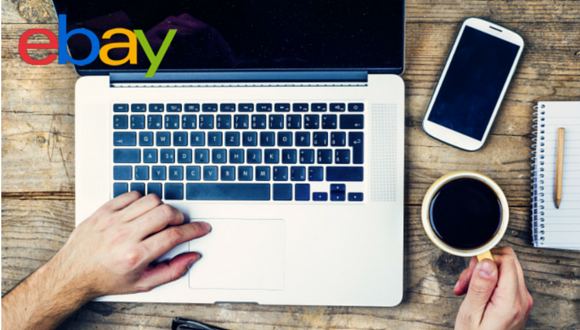 Don’t forget to follow eBay Partner Network on social media for more tips and updates, or to leave us a comment or question. Find us on Twitter, Instagram, LinkedIn and on Facebook. Monetizing your small, up-and-coming blog is a time-consuming and challenging process. Riddled with choices along the way, the path to monetization may seem anything but straightforward. But in 2016, many businesses and aspiring entrepreneurs are discovering hyper-local marketing tactics as a means to garnering local support and carving out a niche. While hyper-local marketing is not truly a novel practice, the way in which businesses are going about it has changed. A common misconception is that you must have a particular kind of business in order for hyper-local marketing tactics to make sense. But in truth, global brands have already begun utilizing big data to incorporate different strategies based on audience location. We gathered some actionable tips from Yvonne Condes and Sarah Auerswald of MomsLA, Jessica Woodbury of Don't Mind the Mess, and Cora Harrington of Lingerie Addict at the 2016 BlogHer conference. You want your blog to be known in your town as "the" place to go for a specific topic. For example, a cosmetics blogger from Plainfield, Illinois may want to share her experience and expertise to gain more local opportunities - yet all of her social media followers are from other cities around the world. Purchasing a relevant URL with your town name and topic can create a new opportunity to be heard locally. A perfect example is BlogHer conference participants, MomsLA, a pair of Los Angeles-based moms who created a one-stop-shop for information moms in LA might need - like recreation for kids, discussions on parenting styles and LA neighborhood guides. While most of the blog posts on MomsLA are aimed at local mothers, you may need to consciously create some hyper-local content if your topic is more general and has a broader audience. Get started with just one or two locally focused posts, selecting keywords that are not too highly competitive. It can dramatically help boost SEO and visibility if your posts tie in details about a locally trending topic. This topic may not be directly related to your usual topic, but by creating engaging content that references it, local readers will realize that they can relate and trust you as a peer. For example, if your website is specifically about coffee, talking about (and linking to) a new restaurant down the street from your favorite coffee shop can spur conversations among your blog's visitors and social media followers. It will also serve you to focus your networking efforts toward those in your area, even if for a brief period of time. Spend an afternoon browsing through other local bloggers in your industry and reach out to them. You might also want to mention a good idea they have on your blog or social media channels. This may seem counter-intuitive, as these bloggers are somewhat like competitors. But ultimately, branching out to these individuals can mean cross-over traffic, and maybe even quality backlinks to your site. Don't rule out how another blogger might be of service to you. One surefire way to harness a local audience is to give them special treatment. This might include selling local brands at a discounted price or working directly with them to arrange limited-time offers or special giveaways. Google Adwords Express is one simple way to get your offers in front of a local, targeted demographic. In addition, start keeping an eye out for potential brands to partner with, as this can double your audience size with minimal effort. Have your website communicate the fact that you are open to partnerships. While it may seem like hyper-local marketing is limiting and cuts you off from a world of potential readers, it can actually be more lucrative in the long run. Your demographic immediately becomes clearer and your competition slimmer when you select a specific neighborhood to target. Thank you for following our "Experts Among Us" series. Stay tuned for the next piece, as we explore creating "snackable" content for holding today's digital attention span. As always, don’t forget to follow eBay Partner Network on social media for more tips and updates, or to leave us a comment or question. Find us on Twitter, Instagram and on Facebook. The world of social analytics and metrics gets a little bigger each day. You probably already know that analytics are integral to the way we structure content marketing strategies. Analytics can also help us get to know our audience. Social media traffic provides a valuable opportunity to observe engagement through the advanced analysis tools modern technology offers. So how do you know which metrics hold the most weight? Don’t worry, we’ve got you covered. Here, we'll scratch the surface of some of the ways bloggers and affiliate marketers at the BlogHer conference put their analytics to work for optimizing social media for traffic and engagement. You might guess that when it comes to blogging, all visitors are equal. And while any visitor is good, obtaining repeat visitors should be your top priority. Having an idea of how many repeat visitors you attract can help determine whether your brand is growing. Another key metric to keep an eye on is bounce rates, or the number of visitors who leave your page after viewing just one page. Facebook's algorithm tracks bounce rates to discourage clickbait. Thus it's beneficial to research ways to improve your bounce rate, such as better demographic targeting, faster loading times and fewer annoyances (distracting ads, etc.). Super mom and Social Media Manager for BlogHer, Brandi Riley suggests getting in tune with your audience to discover what makes them engage with your content. Getting to know your audience might just be the most important metric to take advantage of. By getting to know them, you are discovering what kinds of content will perform well for you in the future. Factors such as scale, demographic, geographic location and device type can all help guide the content you create. For example, knowing that your audience is urban as opposed to rural will dictate what they relate to and what kinds of products they'd be interested in. Most social media channels have built-in analytics to get you started, but you may want to consider another outside tool to dig deeper. Some of these tools include Buffer, Quintly and Cyfe -- all of which offer free plans. With such a wide range of variables in play, it's no surprise BlogHer speakers like Yolonda Spinks and Kimberly Clayton Blaine have experienced mixed results with automated scheduling tools such as SocialFlow. This tool for optimizing social media uses real-time data to positively impact conversions, reach and engagement. When you use SocialFlow and tools like it, your posts go live based on the predicted optimal timing for each section of your audience. Different content performs better at different times. As a rule of thumb, business-oriented content is best published in the day, and lighter, more fun content at night. Facebook - images win, content performs best Wednesday through Friday. 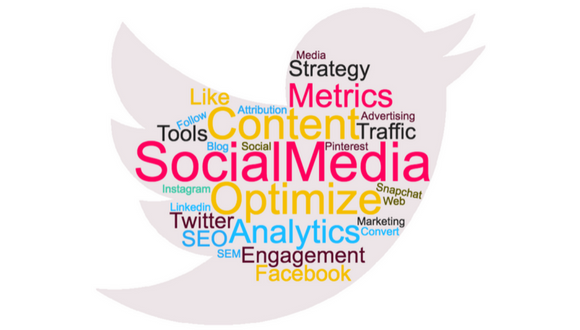 Twitter - relevant and timely content wins, retweet content, test out Twitter cards. LinkedIn - post mornings or evenings not during office hours. Instagram - hashtags win, posts perform best between 3 and 5 p.m.
Pinterest - SEO for images, use highly descriptive text, create many boards. Snapchat - silliness wins, keep closed to smaller group of followers. Overall, we see that there are no hard rules for what works for everyone. But with the knowledge provided by analytics and the assistance of automation tools, you can carve out a social media strategy that brings your business to the next level. Optimizing social media isn't rocket science, it just takes a little elbow grease. We hope you've gained a bit of insight from this section of our BlogHer conference wrap-up. Stay tuned for the next piece, as we delve into how you can utilize hyperlocal marketing tactics to gain more exposure. As always, don’t forget to follow eBay Partner Network on social media for more tips and updates, or to leave us a comment or question. Find us on Twitter, Instagram and on Facebook. Everyone wants to find that magic formula for driving more people to their blog or website. Unfortunately, it's not that simple. Increasing visits to your blog takes a bit of hard work. The good news is we have tapped into some of the most successful bloggers around to bring you information to help you succeed in your online business. Earlier this month, we had the opportunity to join thousands of experienced and budding bloggers at BlogHer’s annual blogging conference in Los Angeles. There was no shortage of outstanding, beneficial information, from so many inspirational publishers – we have content lined up for weeks to share more about what we learned. We’ll talk about SEO, social media strategies, producing content for the digital attention span, and much more. To kick things off, however, we’ve pulled together the top ten themes we heard over and over, in hopes of providing you the nugget (or few!) you need to become more successful publishers yourselves. First things first - get acquainted with your audience. Other blogging tips are useless if you've yet to develop a relationship of trust with your audience. It doesn’t matter if you have one or 1 million followers – if you don’t know who they are and why they’re there, you won’t be able to form that bond. Get to know your analytics – really get to know them. The only way to optimize is to know what you can track, and it’s all in the data. What do people like, and not like? Where are your visitors coming from? What converts and what just gets comments? What matters to you - and what your audience wants - will change from campaign to campaign. That's why tracking data is necessary. Gaining traffic is tough, especially early on when a blogger is largely unknown. While there are various ways to do this, BlogHer speakers stressed that having an engaged audience was better than having lots of traffic. This goes back to the fist point: knowing your audience, and giving them what they want. Yvonne Condes and Sarah Auerswald of MomsLA talked about how they were able to line up better partnership opportunities because although they were smaller than their competitors, their audience converted so much better than others’. This one might seem obvious, but not everyone takes the time to do this, and do it well. All speakers agreed that social has had a huge impact on their audience growth and engagement, and all agreed that it will only continue to get bigger. We’ll share more channel-specific tips later on in this series, but in the meantime, get out there and get posting! Tap into the news of the day and create a piece of evergreen content that ties in. This will give your content a longer shelf life and allow you to share it again later when the topic resurfaces in a different way. An easy example would be around celebrity selfies – use a trending hashtag to point people back to your “Tips and Tools for Taking Great Selfies” post. Traffic to a blog post drops dramatically within a week of posting. Updating high-performance blog posts is one easy method for getting more mileage out of your content and maintaining credibility as things change in your industry. Add new photos, new affiliate links, links to other relevant content on your blog, and take advantage of what’s working well. Writing a series of posts on one topic is a unique strategy many bloggers don't take advantage of. 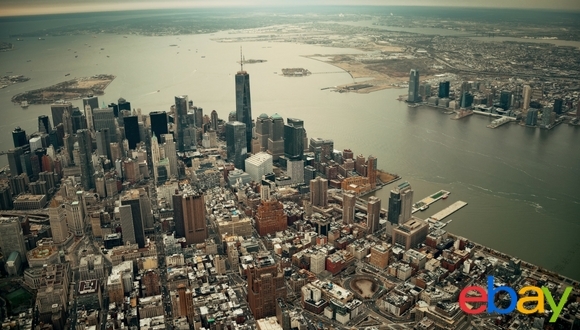 Clusters can encourage visitors to explore your blog more than they otherwise would. You can then cross-promote posts, and keep people on your site longer, building that relationship of trust. It’s also a good way to extend the shelf-life of a high performing piece of content. Did people like that selfie tips post? Do a few more – tips for selfies in low lighting, taking adventure selfies… you get the idea. Again, this is where your analytics come in. Selfie posts still killing it? Try a YouTube version! Lauren Lumsden, former director of video programming at Cosmopolitan.com (now at TheScene.com), talked about how they turned a trending blog post featuring shirtless men into a series of videos of the same. This can keep a popular subject trending, as you create more opportunities for engagement and harness more viewers. Test everything! Split testing (aka A/B testing) was highlighted as a method for determining which versions of content are better-received by your audience, and an easy way to make sure you’re giving them what they want. While you may sometimes feel as though your posting is getting redundant, think again. Social channels are busy environments, and no follower sees everything you publish. Only a portion of your followers will see any given post, so don't be afraid to re-share content – daily, weekly, monthly. It will only increase your chances that your whole audience sees your new work. 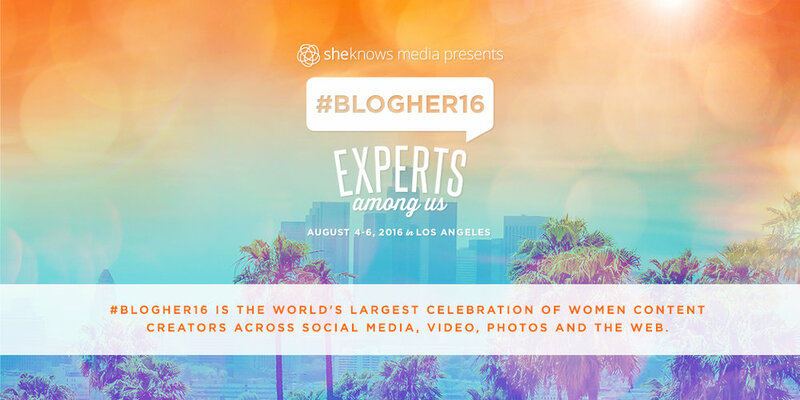 This is just a sneak peek of the ideas explored during the BlogHer16 conference - we've got much more to come! Stay tuned for dozens more nuggets of wisdom from Experts Among Us, and be sure to check out BlogHer.com for more writing tips and inspiration.